What Happened to The Crossbreed? When I was younger, I loved a book called The Crossbreed. 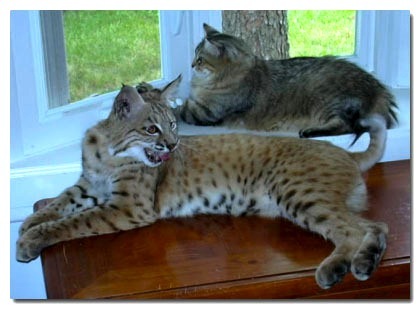 It's about a cat that was a cross between a house cat and a wild bobcat. It was a fun adventure that got me interested in bobcats and lynxes and the differences between them.